For the past two decades, polybeads (A.K.A microbeads) have been used in a host of household and personal-care products, including various mainstream cosmetics, shampoos, shower gels and cleaners for abrasive and exfoliating purposes. They are tiny balls of plastic and vary in size from between 0.001mm and 1mm – some of which are so small that they cannot be seen by the naked eye. Most polybeads are made from polyethylene, which is the same material used to make plastic bags, some bulletproof vests and even knee replacements. Others are made from oil-based plastics such as polystyrene and polypropylene, and due to its micro-plastics nature, are slow to break down in the environment and are too small to be retained by standard sewer filtering systems, therefore passing directly through wastewater streams into the ocean. There is now a growing amount of international research supporting the banning of these polybeads, as they can lead to blocked pipes, sinks and sewers, with the added issue of have a significant negative impact in marine life ecosystems due to micro-plastic accumulation in the environment – causing severe issues when ingested, as marine animals often mistake them for food. Micro-plastic contamination also raises the problem of toxicity as polybeads can absorb large quantities of chemicals, which when ingested causes devastating effects on marine life – as polybeads can stay lodged in an animal’s gut, preventing them from eating nutritious food. Research has also shown that these chemicals and polymers can degrade the immune system of some invertebrates – and kill organisms that support biodiversity. The imminent trickle-down effects can include human health risks as polybeads eaten by fish and shellfish then have the potential to enter the human food chain. 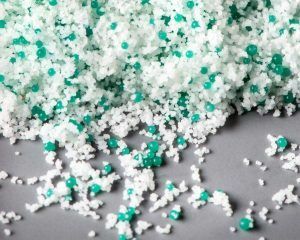 Netherlands was the first to announce a nationwide ban (by 2016) on microbeads, and although it was unofficial, 80 of its largest companies are due to have switched to microbead-free products by 2017. Additionally, in 2015, President Barack Obama signed into US law the Microbead-Free Waters Act of 2015, which prohibits the manufacture and introduction to market of rinse-off cosmetics containing plastic microbeads – with the intention to phase out the manufacture of such products by 1 July 2017, and sales being stopped by 1 July 2018. As a result, Euromonitor predicts that the consumption of polythene beads is forecast to decline by 2,320 tonnes globally between 2012 and 2017. In New Zealand the government has a proposed ban – which could come into force by July next year and would exclude microbeads from all personal care products. It would be enforced by the Environmental Protection Authority (EPA), which could impose fines up to $100,000 for companies ignoring it. As an alternative to polybeads, there has been increase in the use of pumice as a replacement abrasive. Pumice is a lightweight, frothy stone formed from volcanic activity and is non-crystalline in structure (amorphous) and so poses no respiratory hazards. Once considered inferior to its polybead (microbead) counterpart, pumice is now the preferred international abrasive for industrial or heavy duty hand cleaning, with success in use already with mainstream cosmetic and personal care exfoliating products. Due to the fact that as a raw material it is both abundant and benign, and the chemical characteristics of pumice are naturally manufactured by Mother Nature and does not add a carbon source (with the potential to unbalance the ecosystem when it is eventually washed into) like biodegradable botanical grits can, pumice-based hand cleaners such as Kemsol Rock-It provide a much safer, natural alternative with a much lower environmental risk.